*Melanie's comment on the post below reminded me of a conversation I had with a friend from church when I was relating Sunshine's comment to her. I'm glad I was reminded because I remember now that I meant to mention it along with that picture. I told my friend about my response to Sunshine's beautiful expression; how I was delighted to see her looking forward to the beauty of motherhood, as Melanie put it but how I also wanted to make sure she saw how hard taking care of a baby is to have a balanced perspective, not to scare her from the challenge, but to be better prepared for the realities of it. I wanted her to realize how I need every bit of help I can get from everyone in the family and sometimes that isn't enough to take care of it all. How taking care of a baby requires sacrifice that is repaid 10 fold in a single giggle or coo. How motherhood is tiring and physically painful sometimes but how I wouldn't give it up for a minute. That babies are hard work but that moments like the one she was having made it all worth it. I told my friend that I remember being shocked by my first days/weeks/months of motherhood with The Professor and I wanted Sunshine to have a realistic impression, not my rose colored view. I think the tint of those glasses contributed to a lot of my grumpiness, frustration and even a bit of depression in those early days. I was a pretty miserable person to my husband, myself, yes even my first little babe sometimes. I hope that Cupcake's existence in our life will better prepare my older kids for those early days with their new families, should that be God's will for them. My friend, the oldest of five, surprised me by agreeing that she too was caught off-guard by the full demands of motherhood. I guess it's true that noone is completely prepared when it's their baby and they are the primary caregivers. Whether it's the time that is no longer your own, the demands a baby places on you and the schedule of your day that is now at the mercy of the helpless little one in your arms or the complete mental and physical exhaustion that comes from trying to provide for all the needs and wants of a completely irrational little being, something is going to make you feel things you didn't expect to feel. It can make you feel rotten. Here is the fulfillment of years of heartfelt desire, to cradle this visible sign of your love in your arms, and yet you might be battling feelings of resentment and disappointment at the same time. It's something that's not discussed openly especially in pro-life circles and when it is, it's most likely chalked up to post-partum depression. No one wants to give even the vague impression that they might be less than thrilled for even a minute regarding caring for this tiniest creation of God's unless it can be blamed on a chemical or hormonal imbalance. But shouldn't it be discussed more openly? There are aspects of motherhood that are really gross. Does anyone here joyfully look forward to a warm, wetness running down the space between (if you know what I mean) when your precious one spits up and the nearest burp cloth is in the laundry? Does anyone here happily leap out of bed to change a diaper at 2 am? Of course, we do it because the reward, earthly and heavenly, is worth it and so much more but that doesn't mean that we can't be real about our struggles without wallowing in them, or course. We are all working on holiness, none of us is perfect and a feeling is a real thing to be acknowledged. It's an expression of our soul. It doesn't make us who we are nor is it the sum total of what we believe, but it is real. It's also something that we can't always control. It might be evidence of an area of immaturity or selfishness that should be addressed. It might just simply be a feeling that needs to be acknowledged before we can move on from it. I tell my kids all the time, especially in these hormonal roller-coaster years, "You can't always choose how you feel, but you can choose how you respond to those feelings and you can choose how they lead you to act." My point in this long ramble is that I do want my children to see the beauty of motherhood and get to experience a taste of the delights. But I don't hide the tears. I let them flow when they come (much less frequently now) and I tell them whether they are happy or sad tears. Tears of tiredness, frustration or jubilation. I want to share it all with them each as much as they are ready to share in hopes that they will remember these days and be comforted by the memory of them when it's their turn. I know what you mean. Those people who love you but don't understand why you would "put yourself through this difficulty" and who's solution to the problem is to "make it easy on yourself and stop having so many kids". You know, those people would never tell an Olympic gymnast to stop exercising, stop getting up at 4am to practice so much, stop putting her body through all of that pain and anguish just to win a gold medal. Those people would probably admire her for her hard work and dedication. Just consider yourself going for the gold medal of motherhood. It takes work, pain, sweat and tears but the reward in Heaven will be worth it! *Speaking of sweet Melanie, please offer a prayer for the repose of the soul of her grandmother and the grieving loved ones who will miss her. Thanks for this, Charlotte. I feel more overwhelmed now with 5 under 7 and yet often am a little afraid to mention the struggles because its supposed to be all joy.. especially around family who don't really get our beliefs. Your so welcome, Amanda! I know what you mean. Those people who love you but don't understand why you would "put yourself through this difficulty" and who's solution to the problem is to "make it easy on yourself and stop having so many kids". You know, those people would never tell an Olympic gymnast to stop exercising, stop getting up at 4am to practice so much, stop putting her body through all of that pain and anguish just to win a gold medal. Those people would probably admire her for her hard work and dedication. Just consider yourself going for the gold medal of motherhood. It takes work, pain, sweat and tears but the reward in Heaven will be worth it! And as someone who's 4 under 6 are now 13, 12, almost 11 and 7, let me tell you that you are in the thick of the most difficult time when they all need you so much. They will get older and things will get easier! Thank you for this post! I really needs this, especially the update comment. Thank you for saying it! I always tell people, especially my friends that are struggling in those early baby days, that my hardest transition was from no kids to one kid. I was simply unprepared for how it would rock my world. Wow. Really great post, Charlotte. Again your honesty and clarity are encouraging beyond words. Thank you. Though, I find myself as one of those moms that not only have to put on a smily face for unsupportive or even antagonistic relatives/friends/strangers, but I am sensitive (probably to a fault) to showing my kids too much of the hardships of motherhood. I'm kind of the opposite of you in a way. I push more rosy-ness and hide the tears. Not all, but most. I was raised essentially (I have 6 half siblings) as an only child by a single mother. My mother was an alcoholic that suffered from depression. I saw all the tears. All of the sadness. Nothing was hidden. I am so afraid of doing that to my kids. I don't want them to carry my burden like I did with my own mother. It's hard, so hard, to find that middle ground isn't it? To show the realities without emphasizing enough of the joys and vice versa. Like you state so beautifully, I also don't want them to grow up with this very unrealistic idea that moms should never have a bad day or have struggles. That will surely set them up for unnecessary pain. Life is full of struggles. God fashions us each our own beautiful cross. Individually ours. The trick is how to carry it with grace, charity and perseverance. As a good friend recently told me, nothing is without difficulty. Nothing is perfect. That comes to us in Heaven. I'm trying to take one day at a time and sometimes one breath at a time. And trusting that Our Lord and Blessed Mother will see me and my family through. I apologize if that was all TMI. Wowzers, Charlotte. This post is fabulous. I'm bookmarking it and will come back to it FOR SURE when I hit post-partum. This is SO good to remember! When I say I don't hide the tears I mean that I don't try to pretend that nothing's wrong.I will tell them, "I'm really tired and that's making me a little crabby" or "I am sad right now but I think it's just hormones, not something serious". It doesn't mean i sit there and openly weep in the middle of the living room. It is a balance, you are right. But I've always found that my kids tend to know when something is off and talking about it with them makes us both feel better. But I will be the first one to whole heartedly agree that our past experiences color our present perceptions. You have to do what you feel comfortable with. After my c-section, the kids saw firsthand how hard it was to have Little Dude. In fact, they would keep asking me, "Is it hard to have a baby, Mama?" I would always answer truthfully.. "Yes, but look at what we get, isn't it awesome?" And they would agree. As the oldest of 6, going from none to one was the most difficult transition I have EVER made. And that's what I tell EVERY new mom I meet. needed this today. I have 6, ages 7 and under. And it is hard...very hard. I won't lie, but it's so worth it. 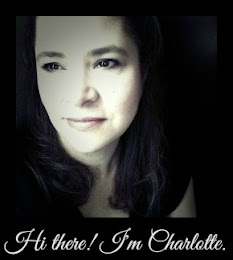 Thank you, dear Charlotte, for your prayers. And oh Charlotte this is so beautiful. I hope you didn't take my comment as to suggest you do (or should) stuff the tears and put on a happy face; but that sometimes for me it is looking at the world through my children's eyes that helps me to see how much the joy outweighs the frustrations and stresses and anxieties. It's that perspective that children have where they really do see the true joy in the midst of the struggles. It helps me to see that in the end when weighed in the balance the joy overwhelmingly matters more than all the negatives put together. This post speaks to me very much. I didn't go into motherhood with too-rosy glasses. In fact, since my husband is a younger child and the last of his siblings to be married, my first pregnancy was peppered with dire warnings about how we'd Never. Sleep. Again. But even so I was unprepared for how hard it was. I remember sobbing in the hospital room in the middle of the night. I didn't know what to do with this baby who just wouldn't stop crying and I felt like such a failure. And nursing was so painful for weeks and weeks until we'd both learned and I was convinced it was my fault for doing it wrong. It wasn't until years later that I finally had a community of women who affirmed that it was indeed hard and painful for them too. I was glad I'd persevered but, yes, I wish I'd been better prepared for how hard it was. I love what you say about teaching your children a realistic picture of parenthood. I've always tried to be honest about the struggles of motherhood as well as the joys. I do have my hands full and it is hard many days; but I wouldn't want any other life than the one I have. What a beautiful post. We have 6 children (now ages almost 5 to 18). So many people have told us that we were 'nuts' or 'how can you do that?' But really, I wouldn't trade them for anything. Often my 9 year old will ask me if being a mom is hard and would I still do it. And my response is always - it can be hard, but I woudln't change it for anything. The benifits outweigh the difficulty and stress. I waffle about presenting the realistic side - or at least overdoing it. I had a similar discussion with a woman who does not want her daughters reading any novels with romance in them (even such authors as Jane Austen). She believes they present a completely unrealistic view of male/female relationships. She wants her daughters to know about the hard cold facts of married life - everything that could go wrong, the red flags in a man's personality, the financial burdens, etc. Perhaps it is because she herself has a difficult marriage. "If she had only known..." My response was that romance, an attitude of "love can overcome all things, a little starry-eyed optimism is proper to young love. It's what lures us in to make the big commitments, what we remember when the days do get tough. I think we have to be careful not to overdo the realisism to the point where fear is produced. It's very hard to find that balance, so often dependent on personality or temperment. What a great post, Charlotte! The pro-life, pro-big family crowd do noone any favors when they assert that a baby isn't all that hard and go ahead and have another, no big deal. (To be honest, I've even been guilty of insinuating that!) A baby IS a big deal and boy, did I wake up to that after the birth of our first! Of course, every soul is so very very worth the pain, the sacrifice, the tears, but it doesn't help anyone to pretend that this part of motherhood doesn't exist. It is a hard balance to find when teaching our children the sacrificial joys of motherhood! You are right, there must be moderation in everything and a personal experience of a difficult marriage like the friend you mentioned can definitely color our perceptions and drive us to a certain course of action. (Although, I can't imagine a world without Jane!) As you can see from the pictures in other posts below this one, I am definitely allowing plenty of time for my kids to soak up the delightfulness of our little Cupcake and share in the rosiness of her glow. I'm just also trying to be honest with them. When they greet me in the morning asking how I slept, I'm not afraid to say, "She had a rough night and I'm kind of tired." The message "a baby is a big responsibility and motherhood isn't always sunshine and roses" should always, always, ALWAYS be tempered "but the most important challenges are worth all the hard work"! My kids are learning that we worked just as hard for them when they were this size and know that we look back now and thank God for every blessed minute of it and look forward to every minute to come. Well said, for many reasons. I had a recent conversation with a friend who is struggling. In her mind it's all 'supposed to be rosy' and reality is....there are bits of joy mixed with hardships with having and rasing a family. But if we don't, or feel like we can't talk, about it what good are we to eachother? Your points on this are so right on. My first born was a super-DUPER colic baby. Boy was she tough. We had several months of zero to no sleep and a high pitch crying baby. I think she trained me well to deal with the next 3 that came along. It is nice to read this post - I think you have a nice balance of real yet wonderful. It seems I see a lot of the extremes: either all sunshine and roses or all pessimism (like people posting on Facebook griping about their kids frequently). Motherhood is hard - very hard, and that needs to be acknowledged! And it is also a tremendous blessing, of course. I so wish that as mothers, we could live in more traditional communities where we were more tight-knit and had the presence of other women, our mothers, sisters, etc., who would support and help us so that we weren't so isolated. I think Catholics and non-Catholics alike would have more babies if we knew we'd have more help surrounding us! Somebody once mentioned the idea that there should be an order of nuns who goes and lives with families with young children to help them out - what a great idea!! Of course, it would also be helpful if we grew up with accurate perceptions of babies rather than people saying, "Oh, is she sleeping through the night yet?" I answer that one with, "Of course not - she's a baby and she sleeps like one!" Thanks for keeping it real, and God bless your family! This post was helpful, along with one that was recently posted at Little Catholic Bubble on the same topic. Right before I read your post, I was feeling pretty down. On top of the demands and guilt that come with caring for your children, spouses don't get each other and sometimes you're at an impass at who should take what duties. "I've been at work all day!" "I've been cleaning, cooking, working part-time from home, running arrands, doing laundry, and taking care of our finances all day!" Two years in doesn't lend us much experience in these areas. Then, I come to your blog or Shower of Roses, and the like, and I see the gorgeous feasts you make, the wonderful crafts you do with your kids, the grand way you live the Church calendar, and the time you have to share your faith on your blog. I try to implement some these activities, but I am so bad at it still. Maybe it is because I was raised nominally Evangelical, and none of these traditions in the Church come naturally. I feel so silly, like such a fraud sometimes, so thank you for this post and your honesty. Man, I need a counselor! I just got done participating in 40 Days for Life, and I did notice what you mentioned. Another area that I think the pro-life movement should work on is talking more about the pregnant women and not seeing them as simply sinners who do horrible things. Abortion is a horrible sin, but I think we will touch more hearts and be able to help more mothers/babies if we acknowledge more that these women have legitimate reasons to be scared, especially if they are single moms or being coerced in any way. I think being honest about the struggle, the reward, and then moving in with suggestions for help is the best way to proceed. Thank you for this! I have five- 5,4,2,2,and 3 mo. Some days are really hard, and although most are not, still it is nice to know other Mothers are in the same boat.